Everything is spot on with this custom Tanic 2 knife from Geoff at TuffKnives. 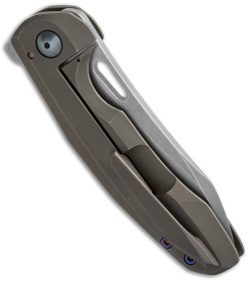 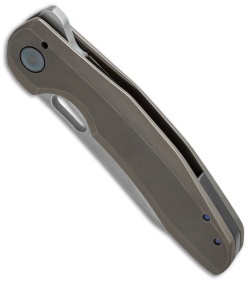 It features a gray/bronze anodized full titanium handle and pocket clip. 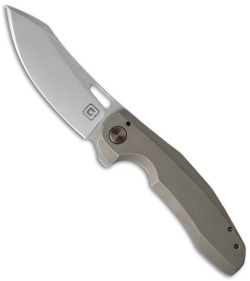 The CTS-XHP steel blade is stonewash finished and sports a minimal, yet effective flipper opener.